I had previously posted an article about forecasting resource requirements using MS Project Server 2010. It has since dawned on me that on of the real difficult issues I faced in my early days in Project Server 2010 is the challenge of figuring out how to get it to work with MS Project desktop products. Well … following is how you do it. 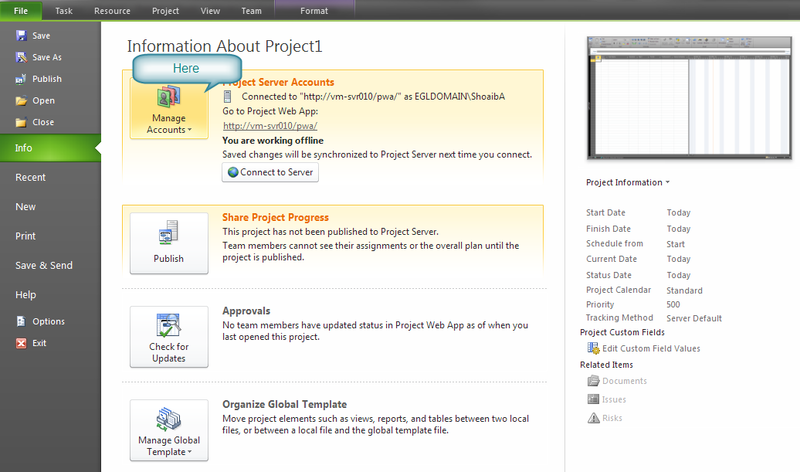 The Project Server Accounts screen is shown. Click Add and enter the following details … what you call it is probably neither here nor there … it is a local setting. 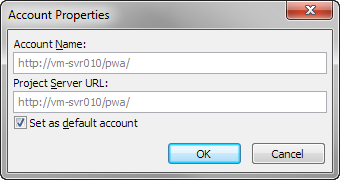 Url is the key bit and set it to default. Now close out all the way and exit Project. Open project again and you should get this as a default view. On start up from now on it will prompt to connect to Project Server. Create a new project as you would normally do. 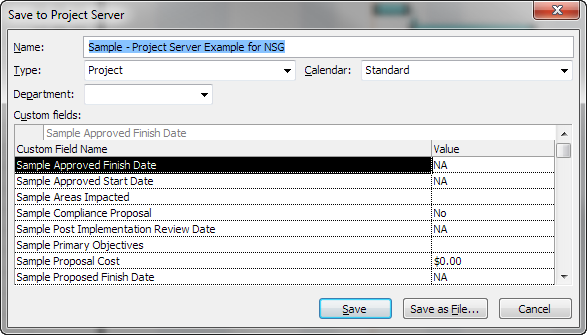 Note there is a new functionality in project server to schedule tasks manually. For forecasts, I would usually do it manually, as I roughly know the duration, but not necessarily all tasks. For an in-flight project, I’d do it auto scheduled, to ensure all dependencies have appropriate linking and any delays in one reflects impact on the entire project. Now pick up the resources you want from the resource pool. 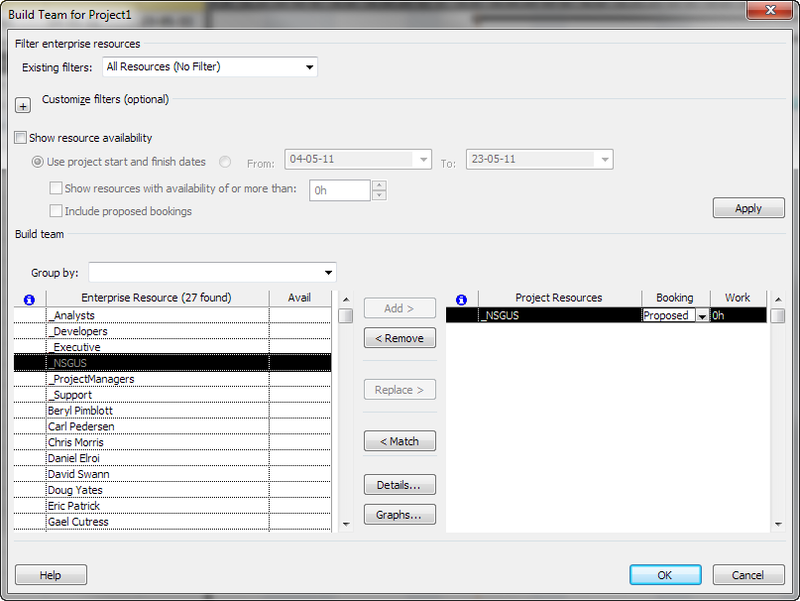 For forecast projects, ensure the booking type is Proposed. 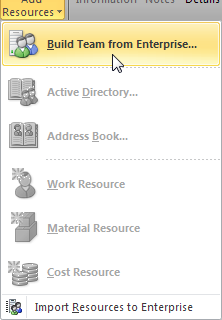 Now assign the resources to the tasks by double clicking on the task and going to the resource tab. You can assign multiple resources to the same task if you want. Once you have completed resource allocation, save the document. You will get the following window. Enter the project name. You can save the file locally by clicking Save as File, or to Project Server by clicking Save. At this stage it is still not available for anyone else other than yourself to use. In order to make it public, you need to publish it from the Info section under the File ribbon. When you click Publish you’ll need to fill the details. Most of it will automatically be taken from defaults. Close out from MS Project. When prompted, choose to check in the project. 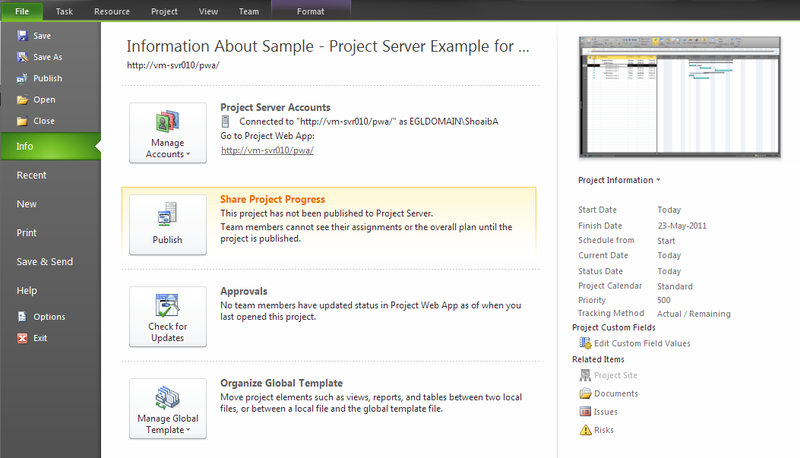 Now navigate to project server and select Project Center. The project will be visible in Project Server. 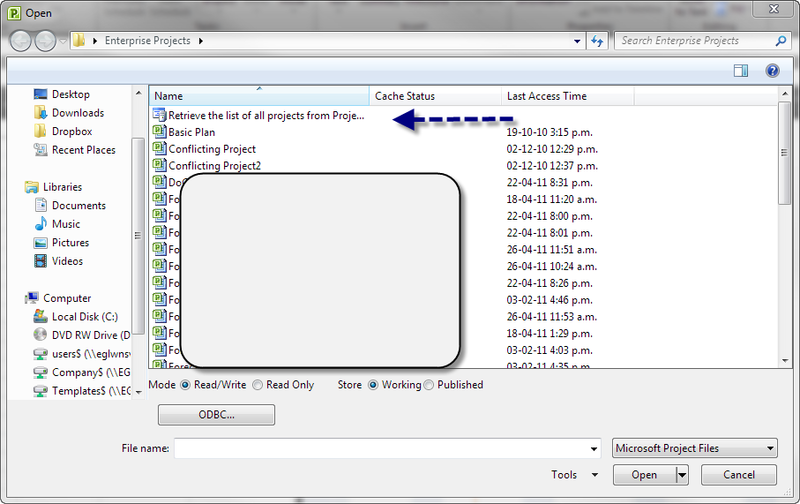 to open MS Project and under the File Ribbon click Open. 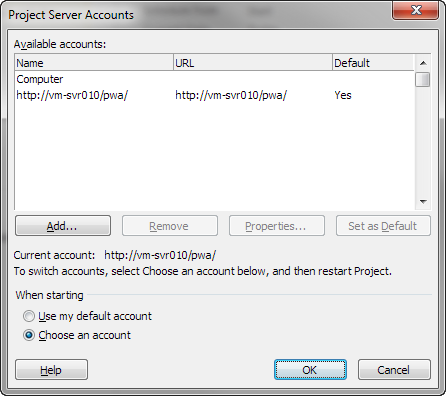 If you work quite often with many projects, then you may not see the full list, as it could be cached in that case double click on the Retrieve the list of All Projects from Project Server button. If you have a project that you no longer want to keep, go to the server and click Server Settings. 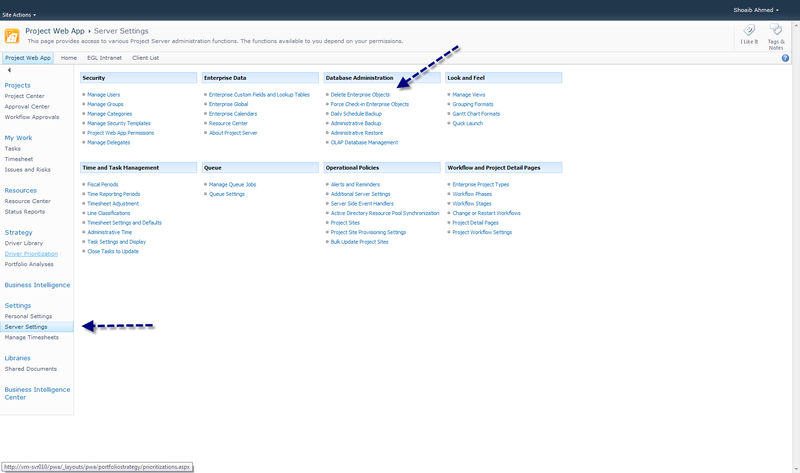 Now click on the Delete Enterprise Objects. Scroll to find your project and check the tick box. Press delete. Be careful. This is irreversible.